Lydia is a heavy metal guitarist without a huge amount of time to shop. So she buys most of her clothes "really cheap on Amazon." "I used to be a big thrifter," she told me. But "thrift stores are different than they used to be. Now that everybody does eBay, the racks are empty." 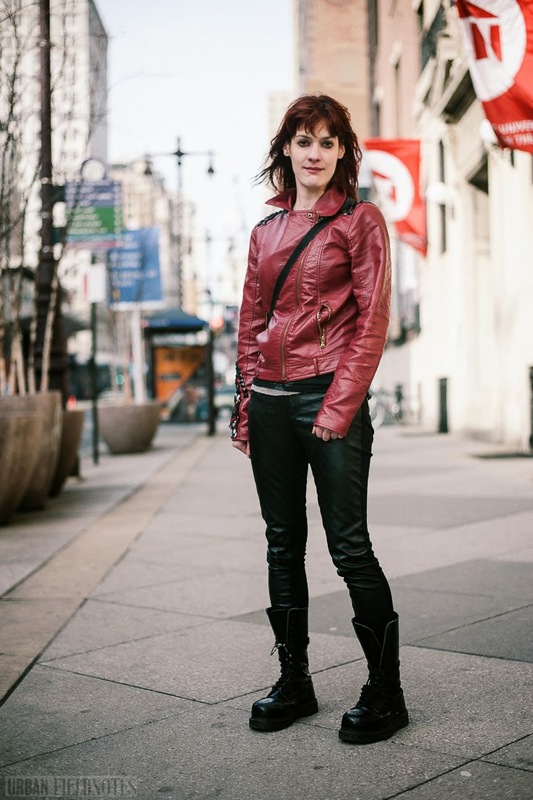 In these shots, Lydia is wearing a fake red leather jacket, customized and detailed by her friend, fake leather pants, and some good old-fashioned combat boots, laced halfway up. 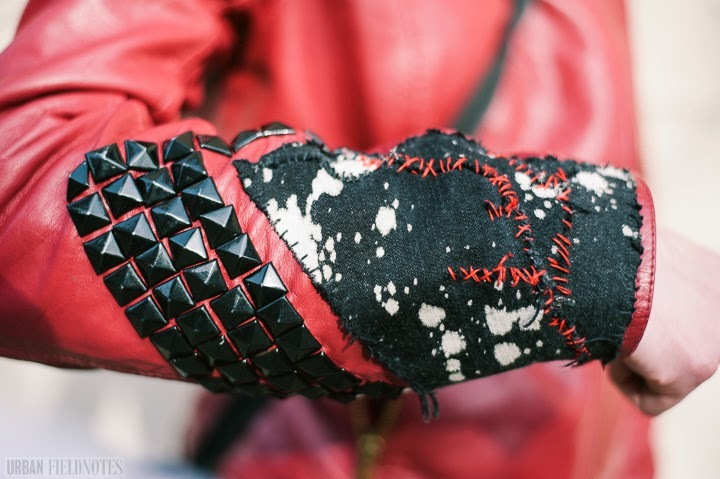 Fake leather, it seems, is going through something of a renaissance at the moment. I've seen it on around half the people I've stopped these last few weeks. It's been a while, however, since I've heard anyone refer to it as "pleather." Part of fake leather's online rebranding, perhaps?